v. Relevant ministries, Etc. i. No clearly defined set of challenges. iii. Uninformed and chaotic creation of ministries, districts and provinces. Keeping the citizens informed on the state of the nation. Scheduled interaction with citizens in provinces & towns. Two chaotic state of the nation addresses. 0 Scheduled interactions with citizens in provinces & towns. Conduct home and abroad has been less than decent and impressive. Apart from a flawed manifesto, no evidence of any development agenda. Clearly defined and discernible foreign policy on security, peace and conflict resolution, political and economic integration of Africa and transformation of global institutions e.g. WB & IMF i. No discernible foreign policy. 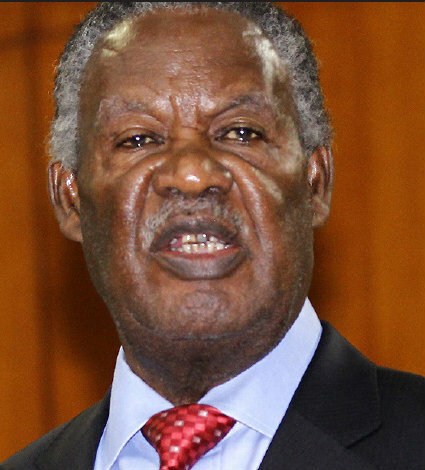 OBSERVATIONS: President Sata, will probably go down in history as the worst president that ever graced our proud nation. He has failed to observe several constitutional provisions right from the first day of duty, when he over nominated MPs. The latest being a second instruction to the DPP to prosecute a citizen. He is a shadow of the Sata we knew, as governor of Lusaka, and minister of health when he seemed to be allergic to sloppy work culture and earned himself the nickname of “action man”. Under his care, Zambia is a deeply divided nation on tribal and political lines and is retrogressing economically and politically. The international political and investor community is beginning to express concern. The complexity of governance has completely eluded him, and he has failed to provide a coherent policy direction, resulting in the country receiving the first negative outlook rating from the credit rating agencies. He has failed to attract any other presidential visit beyond Mugabe’s who has also started snubbing him. Even those to whose aid he has rushed, such as President Joyce Banda, have failed to regard him suitable company. Presidents of countries he has visited such as Botswana, Angola and South Africa have shied away from reciprocating his visits. It is unlikely that under his presidency, Zambia will be given an opportunity to host any gathering of heads of states as it was traditional under all the presidents before him. Nor can the region give any mediation role as was the case for Kaunda (Independence of several states, and Kenya/Somalia conflict-1967), Chiluba (Angolan peace accord – 1994, and the DRC/Great Lakes Region Conflict). SUGGESTIONS: President Sata is very difficult to advise. According to Guy Scot, “You can’t teach an old dog new tricks”. He is in his own world. But what his office should do, is to breakdown the PF manifesto into Key Performance Areas (KPAs) for all his Cabinet Ministers and should then should sign performance agreements with them. The Ministers in turn, should derive and sign Performance Agreements with their Permanent Secretaries, who in turn should do the same with their directors. The Directors should accelerate the process further down to last level of staff. The directors under the supervision of PSs should oversee the drawing up of programmes to actualise the deliverables from the manifesto. This will culminate into the much needed strategy to give credence to the PF manifesto. The PF manifesto is not in sync with either the SNDP or the Vision 2030 and therefore the Party cannot claim to be following these two MMD crafted strategies as claimed by Sata and Guy Scot. Technical observation: The President and his key advisors, in choosing suitable governance option/s that speak to the unique challenges of the state, and as preferred premise for positioning the country in the 21st century globalised world challenges; the choice is usually from six different normative conceptions of political/economic governance dispositions. The main variants of the disposition chosen, guide policy adoption which feeds into crafting strategies for intervention in governance, market failure, economic, and human development. The leading choices range from Neo-Liberalism on the extreme right and Marxism/socialism on the extreme left. Others fall in between and have their own different characteristics. Advocates of neoliberalism, have in general, been committed to the view that political life, like economic life, is (or ought to be) a matter of individual freedom and initiative. Accordingly, a laissez-faire or free market society is the key objective, along with a ‘minimal state’. The political programme of neoliberalism includes the extension of the market to more and more areas of life; the creation of a state unburdened by ‘excessive’ intervention in the economy and social life; and the curtailment of the power of certain groups (for instance, trade unions) to press their aims and goals. Chiluba was an ardent support of neoliberalism and one could see how he destroyed the labour movement he once led for seventeen years. Thabo Mbeki, on the other hand, combined a blend of neoliberalism, liberal internationalist and institutional reformer – hence his leading roles in the creation of the African renaissance programme, the NEPAD initiative, and the African Union. Marxists/Socialists are concerned with the establishment of conditions necessary to empower people to take control of their own lives and to create communities based on ideals of equality, the common good and harmony with the natural environment. The political/economic options chosen lead to policy options. Again two variants dominate and these are Policy First and Market First. In the first one, decisive initiatives are taken by governments in an attempt to reach specific human and economic development goals. A coordinated pro-environment and anti-poverty drive balances the momentum for economic development at any cost. In the Market First policy guidance, the option is in line with neoliberals who adopt the values and expectations prevailing in today’s industrialised countries. The wealth of nations and the optimal play of market forces dominate social and political agendas. Trust is placed in further globalisation and liberalisation to enhance corporate wealth, create new enterprises and livelihoods, and so help people and communities to afford to insure against – or pay to fix – social and environmental problems. The two policy options guide the manner in which a party in government then deals with incidences of market failure. In a laissez-faire economy, an efficient financial intermediation system mobilises and allocates scarce resources towards activities that would optimize the rates of return. This creates a gap in the market place whereby certain segments of the economy remain underserved by the banking system. These include development projects that involve high potential risks and long gestation periods, but yet have significant long-term benefits to the overall economic development of a country. Similarly, there are also some sectors or groups of businesses which, due to their business characteristics and lack of track record, limited credit history and inadequate collateral, do not have adequate access to financing from the banking system. These clearly are instances of market failure to which policy intervention becomes necessary. The golden thread highlighted above is what makes governments be described as having policy predictability and policy consistence. When investors want to invest in your country, they need to place you somewhere and they would like to identify and predict the policy direction you are likely to take according to your clear identity. You will notice from the above therefore that twenty first century state governance is not just issuance of political rhetoric at political rallies. It is a discipline which is as complicated as the practice of surgical medicine and reasonable levels of education and an astute mind on the part of the President and Ministers becomes cardinal. On this score Sata is simply un gradable. In this review, the President was found wanting and not to possess any diplomatic etiquette, and neither was he found to have any state craftsmanship required for the job of President of the Republic of Zambia. Reviewed by: Lucky Mulusa, MP. What if Money Can Buy You all The Freedom You Need?